The seeds and draws for next month's NCAA Division I tennis champions were revealed quickly and efficiently this afternoon at ncaa.com. The host, who did stumble over a few players' names, was able to unveil the men's draw in 15 minutes, which provided a few minutes to digest the selections, seeds and draws before the women's show began at 5:30 p.m.
Until Thursday, when the ITA releases its updated rankings, there is no way of knowing what adjustments the committee made to the seedings, if in fact they made any at all. Texas College Tennis's projections had the Georgia men at No. 2 in the rankings, but the Bulldogs were given the No. 3 seed. Noteworthy is exactly half of the men's seeds are from the SEC. This depth no doubt helped Georgia, which had no wins over the Top 5 this year and lost to Ohio State in Columbus, while the weaker Big Ten cost the Buckeyes, who have not lost since Virginia beat them 4-3 in the Team Indoor semifinals. The 16 seeds are all hosting regionals, with the most competitive of them at No. 15 Florida and No. 16 Vanderbilt. Florida will host Denver, Cal and Florida State, while Vanderbilt will try to overcome a motivated University of Illinois team trying to get to the Sweet 16 tournament they are hosting the following week. (The Illinois women's team did not make the tournament). Ole Miss, the No. 6 seed, needs to watch out for a dangerous BYU team that nearly beat Pepperdine in the WAC conference final, and Duke will need to be in top form against South Carolina, who just missed being seeded. The South Cal regional will be a reunion of sorts, with Peter Smith's two most recent assistants, San Diego's Brett Masi and Alabama's George Husack, bringing their teams to Los Angeles. USC is, of course, embarking on a quest for an unprecedented fifth straight team title, and is on the same side of the draw as UCLA. As with the men's seedings, it's the No. 5 seed that jumps out of this group. The Southern Cal women have not lost since February 23rd, went undefeated in the Pac-12, but still were unable to crack the top 4. If everything goes to form in the regionals, they will meet Stanford in the round of 16. Last year, USC upset the Cardinal in the quarterfinals. Georgia's win over Texas A&M didn't result in a change in the seedings. The question as to what the committee would do with Duke, which has only five players, including a walk-on, was answered when they were sent on the road, to Texas Tech, despite being ranked in the top 16, where they have been all year. With Ole Miss also in that regional, it's a competitive one, but Duke's recent losses to Maryland and Virginia Tech are not encouraging for the Blue Devils. Texas could give No. 14 seed Virginia a battle in Charlottesville, and No. 13 seed Clemson hosts Vanderbilt, who was close to receiving a seed. Florida State and Alabama could also be another exciting ACC vs. SEC regional final. The complete draws can be found at ncaa.com. The men's draw is here. The women's draw is here. If you are interested in filling out a bracket with a chance to win some impressive prizes, go to the Tennis Recruiting Network, where they are conducting their May Madness Bracket Challenge for the second straight year. The ITF Junior outdoor clay season in Europe is in full swing, with Grade 1s and Grade 2s scheduled there every week between now and Roland Garros, with the Grade A Italian Open in Milan also being played in the next month. 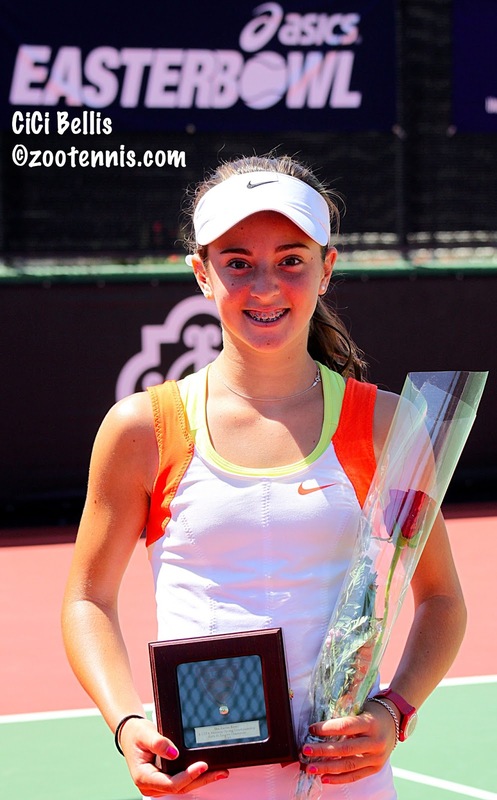 Last week's Grade 1 in France saw 15-year-old Jelena Ostapenko of Latvia, the No. 1 seed, take the girls title, moving her ranking into the Top 20 for the first time. She defeated No. 2 seed Nina Stojanovic of Serbia 6-0, 6-3 in the final. Germany's Alexander Zverev, who played the Grade 1 International Spring Championships n Carson early this month, won the boys title, downing current 16s Orange Bowl champion Andrey Rublev of Russia. Zverev, the 15th seed, beat Rublev, the 12th seed, 6-4, 7-5. Zverev's title likely puts him in the main draw of the French Open juniors with his ranking rising 45 places to No. 43 this week. After a two-week hiatus following the ISC and Easter Bowl Grade 1s, the US ITF junior circuit resumes with three Grade 4s in Florida on clay. This week is the first, in Daytona Beach, with Maria Shishkina of Kazakhstan and wild card Martin Redlicki of the US the top seeds. For some reason there were a huge number of lucky losers making it into the draw, with 10 boys and 8 girls receiving entry after losing in qualifying. All the girls who made the final round of qualifying got in, as did all the boys in the final round. Two boys who lost in the second round of qualifying also got in, which is rare indeed. This is the third and final week of the Har-Tru USTA Pro Circuit Wild Card Challenge with the women competing in a $50,000 event in Indian Harbour Beach, Florida and the men at a $50,000 tournament in Tallahassee. Alex Kuznetsov, who won the $100,000 Sarasota Challenger, leads the men with 118 points, while 2010 USTA junior champion Shelby Rogers, who just won the $50,000 Charlottesville Challenger with a 6-3, 7-5 win over wild card Allie Kiick, now has the lead in the women's race for the USTA's French Open wild card. Rogers also reached the doubles finals at the Boar's Head Club with Nicole Gibbs, losing to CoCo Vandeweghe and her partner Nicola Slater of Great Britain 6-3, 7-6(4). Both Kuznetsov and Rogers are playing in this week's tournaments, with Kuznetsov needing only to hold off Wayne Odesnik to secure the main draw wild card. The complete standings can be found at the USTA Pro Circuit page. There is also a $10,000 Futures tournament this week in Vero Beach, Fla., with one of the state's typical 128 qualifying draws. Junior boys winning four matches and making it into the main draw after victories today are Andrew Schafer, Ronnie Schneider, Jose Gracia and Sebastian Beltrame. Tuesday is the big day for Division I college tennis, with the selections and draws announced for the upcoming tournament. The ITA rankings will not be out until Thursday, but Granger Huntress at the Texas College Tennis blog has crunched the numbers using the ITA's algorithm and process and has come up with a sneak preview of what tomorrow may bring. The first four articles on his website are related to the NCAAs, with one a list of all the automatic qualifiers. The committee, which has access to the ITA's current rankings, where the public does not, has discretion in seeding, so it will be interesting to see how closely they follow the rankings. Will the Georgia men really bump undefeated Virginia out of the No. 2 spot? Will the short-handed Duke women host a regional? How important will geography be this year? Go to ncaa.com on Tuesday at 5 p.m. Eastern time for the answers. After Saturday's upsets in major conference tournaments, Sunday's finals were much more predictable. Last night, the Pac-12 completed its men's final, with top-ranked UCLA defeating USC 4-2 to claim their third victory over the Trojans in four attempts this year. UCLA lost the doubles point but Marcos Giron at No. 2 was the only Bruin to lose in singles, with Dennis Mkrtchian, Adrien Puget, Karue Sell and Clay Thompson earning victories. The match at No. 1, between USC's Raymond Sarmiento and Dennis Novikov, was in the third set, but did not finish when Thompson clinched. USC's Emilio Gomez did not play and teammate Max de Vroome only played doubles. The two teams could play again, for the fifth time this year, in the NCAAs, but that will depend on the seedings and the draw. The ACC tournament's finals were both completed indoors, with the Virginia men losing the doubles point to Wake Forest on Duke's courts, but taking four straight-set wins in singles for a 4-1 victory and their seventh straight ACC tournament title. The women were also forced inside, with Miami finishing its 4-1 win over Florida State at North Carolina's indoor facility. It was the Hurricanes' first ACC title, which is somewhat surprising given how good they've been the past ten years. Michigan had both its teams in the Big Ten final, but neither returned to Ann Arbor with a championship. In the men's final, Ohio State cruised past the Wolverines 4-0 to win its seventh tournament title in the last eight years. I believe that now puts the Buckeyes' home winning streak, the longest in NCAA Division I team sports, at 170. The Michigan women had beaten Northwestern 4-3 during the regular season and were the tournament's top seed, but the third-seeded Wildcats came out on top 4-1 Sunday. Last year Northwestern's streak of 13 straight conference tournament titles ended with a semifinal loss to Purdue, but it didn't take them long to return to the top. In the Big 12, two teams started streaks, with the Texas women and Oklahoma men collecting their second straight tournament titles. No. 3 seed Texas beat Oklahoma State, the No. 5 seed, 4-0, and Oklahoma, the No. 2 seed, defeated No. 1 Baylor 4-2 in the day's tightest final. Many of the smaller conferences also decided their automatic bids for the NCAA tournament this weekend. 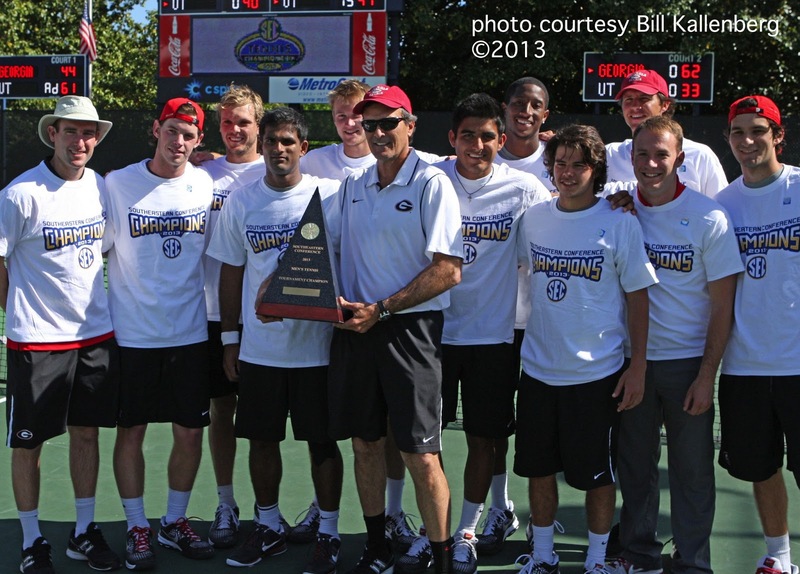 Please see the ITA's Matchday Central for links to all the conference's tournament pages. The NCAA selections will be announced on Tuesday at ncaa.com, with the men's show at 5 p.m. EDT and the women's show at 5:30. The Pac-12 didn't implement a women's team tournament as it did with the men two years ago, so the Ojai tournament continues to feature the individual singles and doubles champions. UCLA's Kyle McPhillips, the No. 8 seed, defeated No. 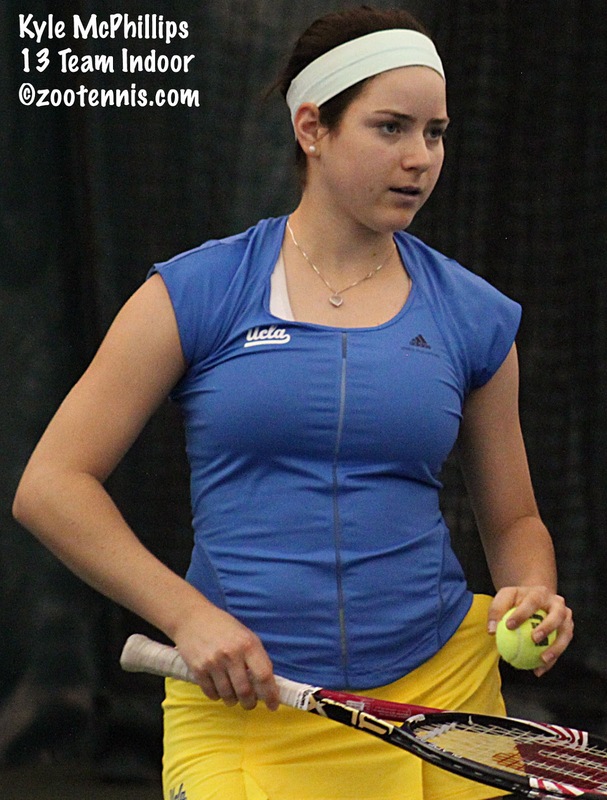 3 seed Krista Hardebeck of Stanford 6-1, 6-0 in Sunday's final. Rhiannon Potkey of the Ventura County Star provided this look at the friendship of the two freshmen after they knew they would be playing each other in the final. Complete draws are at the TennisLink site. McPhillips was hardly the only player with UCLA ties to succeed in Ojai. Mackenzie McDonald, who will be joining the Bruins this fall, won the Men's Open title unseeded, beating former champion and No. 5 seed Lester Cook 6-7(1), 6-4, 6-1, while former UCLA Bruin Noelle Hickey, the top seed, won the Women's Open, beating No. 2 seed Ashley Harkleroad 0-6, 6-3, 6-1. Hickey and Laura Gordon, a former UCLA player now on its coaching staff, won the Women's Open doubles. The Open draws are at this TennisLink site. The USC team of Sabrina Santamaria and Kaitlyn Christian managed to stem the UCLA tide by winning the Pac-12 doubles title for the second straight year. Santamaria and Christian, who have won both ITA majors this school year, beat UCLA's Pam Montez and Courtney Dolehide 6-3, 6-3. The junior tournaments at Ojai wrapped up on Saturday, and here is a recap from the Star. Complete draws are at this TennisLink site. Seventeen-year-old Allie Kiick and 20-year-old Shelby Rogers will meet in the final Sunday of the $50,000 Pro Circuit event in Charlottesville, Va., with the lead in the French Open wild card race on the line. The unseeded Kiick, ranked 313, has never reached the final of a $50,000 tournament, but she has been playing well this spring, particularly in qualifying at the Sony Open in Miami last month. Rogers, also unseeded, has been in three finals at the $50,000 level, two of them last year, winning in Yakima, Wash., and losing in Las Vegas, to Lauren Davis. Kiick beat No. 5 seed Julia Cohen in Friday's quarterfinals, the only seed she will have encountered this week, and today defeated unseeded Madison Brengle 6-4, 6-3. Brengle was suffering from a foot injury late in the match but did not retire. Rogers' opponent, unseeded Patricia Mayr-Achleitner of Austria, did retire, with Rogers leading 7-6(5) 4-2. The winner of Sunday's final, which will be streamed at usta.com, will lead in the Har-Tru French Open Wild Card Challenge with one more tournament remaining. Rogers also has reached the doubles final, with Stanford's Nicole Gibbs. Gibbs did an interview this week with Tennis Grandstand, and the 20-year-old confirms what has long been assumed--that she will turn pro after the NCAAs, forgoing her senior year. At the men's $50,000 Savannah Challenger, it will be No. 3 seed Ryan Harrison against unseeded Facundo Arguello of Argentina in the final. Harrison is already in the French Open, so that match will have no impact on the men's French Open wild card race. Most of the conference tournaments will conclude Sunday, in advance of Tuesday's NCAA Division tournament selection announcement, and not all the finalists are the top two seeds. The ACC women's final will feature No. 4 seed Miami against No. 7 seed Florida State, after both teams upended higher-ranked teams today by 4-3 scores. Tenth-ranked Miami beat No. 2 North Carolina, with freshman Kelsey Laurente clinching for the Hurricanes at No. 2, taking a 5-7, 6-3, 6-4 decision over Zoe DeBruycker. Florida State, ranked No. 30 this week, beat No. 13 Virginia 4-3. After dropping the doubles point, Florida State got singles wins from the bottom four spots in the order, with Amy Sargeant clinching for the Seminoles with a 76(2), 4-6, 7-5 win over Xi Li at No. 4. Florida State had taken out No. 2 seed Clemson in Friday's quarterfinals, so their ranking will get a boost from this tournament. They also beat Miami in Miami during the regular season. The men's ACC final will feature Virginia for the tenth straight year, but the No. 1 seeds will be facing not usual nemesis Duke, but Wake Forest, after the Demon Deacons upset the Blue Devils 4-3. Duke, the No. 2 seed and No. 9 in the ITA rankings, led 3-0, but Wake came all the way back, with Amogh Prabhakar winning a third-set tiebreaker from Michael Redlicki at No. 3 to finish it. According to a Wake Forest tweet, Redlicki was given a game penalty for his fourth overrule in the tiebreaker, trailing 5-0. An interesting twist to Sunday's final involves the two head coaches, with Wake's second-year coach Tony Bresky an assistant to Virginia's Brian Boland from 2003-2010. The Big Ten did deliver both its top seeds, with the Michigan women and Ohio State men comfortably through, but it is the No. 3 seeds they will face in Sunday's finals. The Michigan men have reached the conference final for the first time after a 4-3 win over No. 2 seed Minnesota, avenging a 4-3 home loss to the Golden Gophers during the regular season. Michael Zhu clinched at No. 5, taking a 2-6, 7-6(5), 7-5 win over Ruben Weber after trailing 6-2, 4-0. Michigan's women will face Northwestern, the No. 3 seed, after the Wildcats disposed of No. 2 seed Nebraska 4-1. In the Big 12, No. 1 seed Baylor will meet No. 2 seed Oklahoma in the men's final. The women's semifinals are still in progress. The Pac-12 final between the USC and UCLA men is also not complete as of 8 p.m.
For links to all the tournament results, see the ITA's Matchday Central page. In Ojai today, Easter Bowl champion Gage Brymer won his third consecutive CIF singles title, the first player to accomplish that since Bobby Riggs did it in the 1930s. 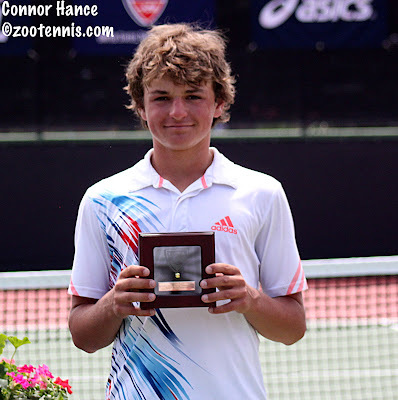 Brymer defeated Taylor Fritz, who finished third in the 16s Easter Bowl this year, 6-3, 6-0 in the final of the tournament for high school tennis players in Southern California. In the women's Pac-12 individual tournament it will be two freshmen going for the title on Sunday, with Stanford's Krista Hardebeck against UCLA's Kyle McPhillips. All the draws for the Ojai can be found at the tournament website. 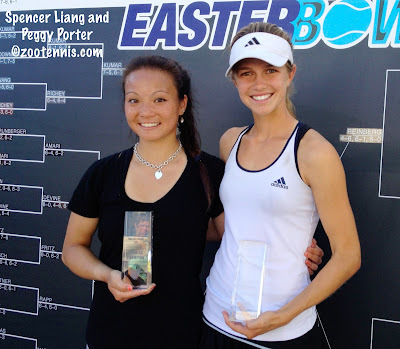 Part two of my Easter Bowl recap, this one on the 14s and 16s divisions, is available today at the Tennis Recruiting Network. 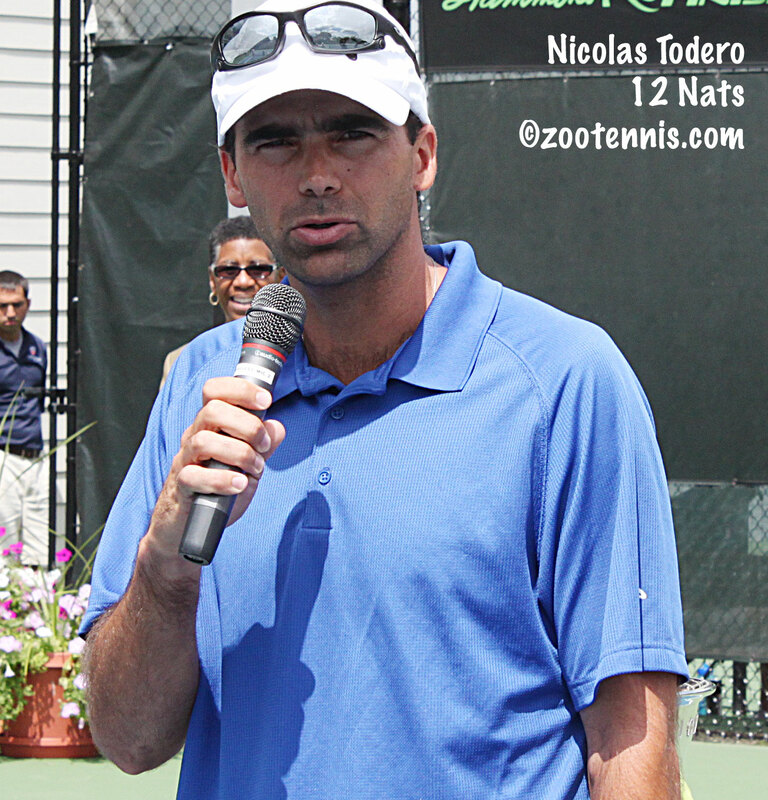 For my recap of the ITF division of the tournament, see this TRN article from Monday. The slideshow of all the singles semifinalists and the doubles finalists is below, as well as videos of the champions. Videos of the finalists are also available at the tenniskalamazoo YouTube channel, or by clicking on their names below the champion's video. The USTA has selected its teams for the ITF North/Central American/Caribbean qualifying next week in Montreal, Canada. The qualifying will determine the region's teams for the World Junior Tennis 14-and-under competition in August in the Czech Republic and the 16-and-under Junior Davis Cup and Junior Fed Cup teams, which will compete in San Luis Potosi Mexico in September. Unless there has been a change from two years ago, when the JDC and JFC were also held in Mexico, that means only one additional team will go from this qualifying. with Mexico getting an automatic bid. The top two finishers from the 14-and-under competition will advance to the Czech Republic. 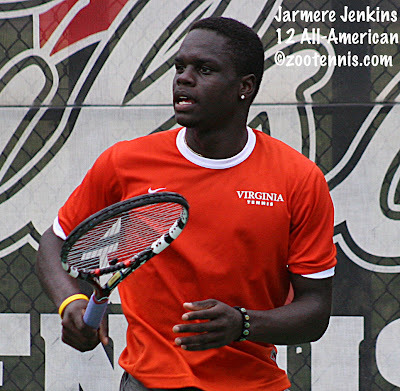 Stefan Kozlov, 15, Pembroke Pines, Fla.
Francis Tiafoe, 15, College Park, Md. Henrik Wiersholm, 16, Kirkland, Wash.
Nicole Frenkel, 15, Winchester, Mass. Jessica Ho, 16, Wexford, Pa.
Patrick Kypson, 13, Greenville, N.C.
Sam Riffice, 14, Roseville, Calif.
Gianni Ross, 14, Burr Ridge, Ill.
CiCi Bellis, 14, Atherton, Calif.
Michaela Gordon, 13, Los Altos Hills, Calif.
Claire Liu, 12, Thousand Oaks, Calif.
A few interesting omissions, including Tornado Alicia Black, Easter Bowl 14s champion Jaeda Daniel, Michael Mmoh, but it's important to remember that these teams are not necessarily the ones that will be chosen for the World finals (assuming they qualify, of course). There also seems to be more flexibility in inviting younger players than there used to be, although Sloane Stephens and the Harrison brothers also played when they were in their first year in age eligibility. The competition is May 2-4, and I will link to the draws when they are posted. The ITF has given a lot of coverage recently to the other qualifying tournament in Asia, so I expect they will also provide daily updates for this event. The USTA release is available here. The 113th edition of The Ojai is underway in Ojai, California, which includes nearly every imaginable level of organized tennis, from junior to high school to college to open events. The Ventura County Star always provides great coverage of many of the events, and has published two advance pieces. Easter Bowl champion Gage Brymer is attempting to become the first boy since Bobby Riggs in the 1930s to win three straight CIF titles. This is the individual competition for those who play high school tennis. This article looks at the local players in the tournament, and reveals that Dominique Schaefer, who had to withdraw from her third round match with CiCi Bellis at the Easter Bowl, has a stress fracture in her foot. The San Bernadino Sun adds this article called "Ojai Valley Tennis Tournament: Ten Players to Watch This Weekend." Links to draws can be found at the tournament website and the daily recaps there also highlight the most important daily action, with links to the appropriate draws. The Pac-12 tournaments began there today, with the early rounds of the men's team event and two rounds of the women's individual event. Cal's Zsofi Susanyi and Anett Schutting are the top two seeds. Nicole Gibbs of Stanford has reached the quarterfinals of the $50,000 Charlottesville Pro Circuit tournament this week, so she is not competing, but teammates Krista Hardebeck and Kristie Ahn are. 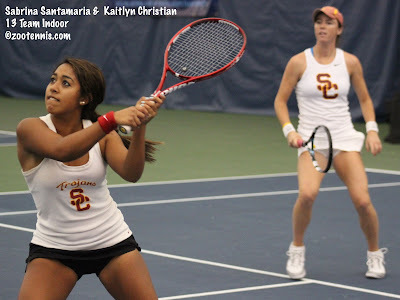 USC's Sabrina Santamaria is not playing singles, but is entered in the doubles competition with Kaitlyn Christian. USC's Zoe Scandalis, the No. 5 seed, lost in the first round to Arizona's Lacey Smyth. 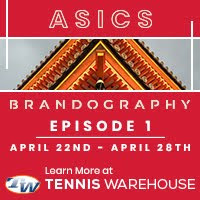 Scandalis is the subject of the latest College Spotlight at usta.com. She offers advice on choosing the right school, the highs and lows of team competition, and USC's goals for this year. A couple of days ago, I responded to a comment about the USTA's French Open wild card points accrual with the statement that in 2012, the qualifying points were counted in determining the winner. This is incorrect. Qualifying points earned do not count in the standings now, nor did they last year, when Brian Baker and Melanie Oudin won the French Open wild cards with their performances in the designated tournaments, now known as the Har-Tru USTA Pro Circuit Wild Card Challenge. The fact sheets for the 2013 Har-Tru Challenge, which can be found on the Pro Circuit home page at usta.com, state "The wild card will be awarded to the American player with the highest total of cumulative singles main draw ATP (or WTA) ranking points..."(emphasis mine), and I'm told that was the same as last year, and Baker's point total from last year bears that out. Why qualifying points wouldn't count, although a minor issue, is a question that has been raised by a few readers, and Lew Brewer, who is the USTA point person on this, provided me with this answer. "Our opinion is that we think that's the most fair," Brewer told me in a telephone conversation. "I understand why people would argue why you would want to include the qualifying points--because it's hard to qualify, they've played matches already. The other side of that is that they get extra points if they qualify. They've been around the site for a few days, so they've acclimated, especially if someone is coming from another tournament, and they've had that opportunity to get used to the courts, the facility, the water, all that stuff. I think a lot of times that's why you see some upsets in the the first round, because qualifying players have had a chance to get used to the whole atmosphere. We feel it is just more fair for everyone just to count the main draw points." I personally would like to see the qualifying points count, while recognizing that it's probably never going to matter and is a small part of an otherwise great system for awarding a wild card. My feeling, which I relayed to Brewer, is that the minuscule points on offer for qualifying, where you must win 2 or 3 matches, make this an "advantage" that is very expensive in terms of physical exertion. And if the ATP (or WTA) is awarding points for a result, they have determined it has value, so I don't think it's necessary to exclude it from this competition. But my thoughts are just that, and the fact sheet provided the notice necessary to the participants, so the discussion is now just expressing opinions now that I've gotten the facts straight myself. Another means of receiving entry into a tournament is via wild card, and this year, as in the past several, the USTA has published the performance-based wild cards awarded for results in junior competition. 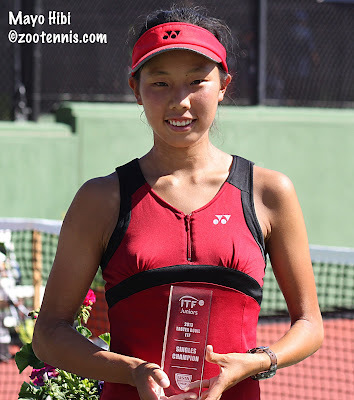 The wild cards are not always used; for example, last year, both Easter Bowl ITF champions Taylor Townsend and Mackenzie McDonald received entry into the US Open juniors based on their ITF junior rankings. But they are a means for players who do not play the ITF circuit regularly to get into the US Open juniors. Caroline Price, the 2010 USTA 18s Clay Court champion, played the US Open juniors that year due to her wild card, and this year's Easter Bowl ITF champion Gage Brymer is now assured of his place in the draw in New York this September. Girls Easter Bowl champion Mayo Hibi, however, is another story. Hibi is a Japanese national, who has lived in Southern California for nearly 15 years and is eligible to play in USTA events because she meets the USTA's requirements, but because she has not taken the step necessary to certify herself to represent the USA in ITF team competitions, she cannot be granted the US Open junior wild card she earned with her win at the Easter Bowl. This also extends to a much more important and lucrative wild card into the US Open main draw that goes to the USTA National 18s winner in August, should she win that. My understanding is that Hibi's status isn't permanent; in other words, she could notify the USTA of her intention to represent the United States and be eligible for that US Open main draw wild card (or qualifying wild card if she were to make the 18s final), but as of now she has not done so. Here is the language, which I don't recall seeing before, on the junior performance-based wild card restrictions. Players/teams qualifying for a wild card are not required apply for the wild card by the deadline; however, an application is preferred - see ITF Junior Tournament Wild Cards and USTA Pro Circuit Wild Cards above. Only those players who have not expressed an interest to compete for another country or have not represented another country in ITF team competition are eligible to receive wild cards. Players must have made every effort to become eligible for USA International Team Events and be Jr Davis Cup or Jr Fed Cup eligible. Players must be age eligible by ITF rules to receive wild cards for US Open Junior Championships. Players receiving US Open Junior Championship singles wild cards are expected to sign-up to play in the US Open Junior Championship doubles event. Doubles wild cards are awarded to teams - players must play with the same doubles partner. For example, if a team wins the The USTA National Championships (Hard Courts) and one of the partners is not age eligible for the US Open Junior Championships, the team will not receive a wild card. 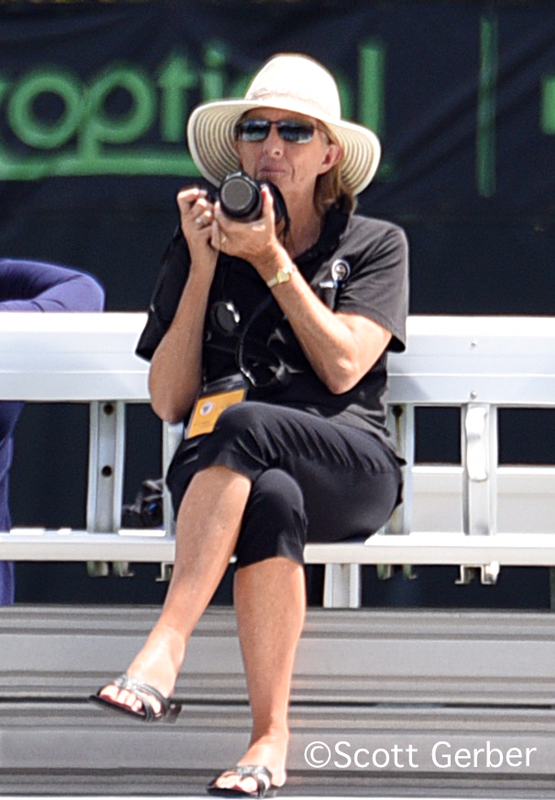 Because I am at the Easter Bowl or other concurrent USTA events, the only chance I have to see the 12s during the year are at the Eddie Herr and Junior Orange Bowl. I had seen 12s Spring Champion Amanda Anisimova at the Plaza Cup, playing in the 14s in January of this year, but I wasn't familiar with Adam Neff, who won the boys 12s Spring Nationals and a trip to Paris during the French Open to play in an international competition there sponsored by Longines. 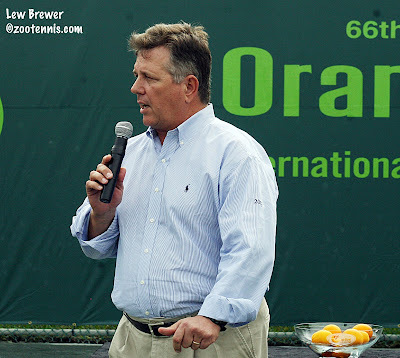 The Tennis East Coast blog has an interview with Neff's coach Lance Luciani, which provides a look at the young Bradenton resident's training regime and game style. The NCAA Sweet 16 in Champaign, Illinois is just over three weeks away, and after a long stretch the North Carolina women and the Virginia men at the top, there are two new teams atop this week's ITA rankings. After two top 10 wins last week--an exceedingly close battle with Pepperdine and a relatively easy victory over USC--the UCLA men have replaced the Cavaliers at No. 1. Both UCLA and Virginia have conference tournaments to play this weekend, with UCLA looking at a fourth dual match with No. 5 USC this season should they both advance to the final in Ojai. Virginia's probable opponent in the final is No. 9 Duke, whom the Cavaliers have beaten twice this year. Notably absent from the regional contenders for hosting is NCAA Sweet 16 host Illinois, now ranked 29th. Again, NCAA Sweet 16 host Illinois is way down the list, currently ranked 43 going into the Big Ten conference championships. 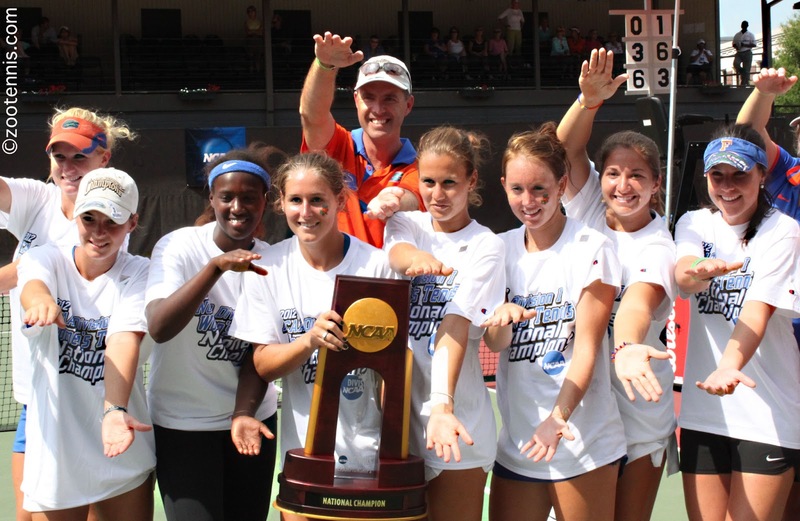 The complete ITA women's team rankings are here and the men's are here. Granger Huntress of the Texas College Tennis blog has been producing his own set of team rankings this season, and they differ substantially from those of the ITA. Granger still has Virginia at No. 1 in the men's rankings, with UCLA 2, USC 3, Ohio State 4 and Georgia 5. Two-time defending champion Florida also tops his women's list, but Georgia is No. 2, followed by Texas A&M, UNC and USC. I guess I'm the only one who thinks USC is better than their ranking right now. I do agree that the Baylor men, who Granger has at No. 8, are currently much more dangerous that their No. 13 ITA ranking might suggest and that Pepperdine looks like a Top 8 team. His rankings page is available here. In the individual rankings, Alex Domijan took his No. 1 spot back from teammate Jarmere Jenkins, who fell to No. 3, with Tennessee's Mikelis Libietis at No. 2 now. Anthony Rossi of Kentucky makes a Top 10 appearance at No. 5. 10. Romain Bogaerts, Mississippi St. The women's Top 10 showed very little movement, with Florida's Lauren Embree continuing at No. 1. There is a new team at the top of the men's doubles rankings, with Libietis and Hunter Reese of Tennessee taking over from Jenkins and Mac Styslinger of Tennessee. Kate Fuller and Silvia Garcia of Georgia remain No. 1 in the women's doubles rankings. The complete women's singles rankings are here. The complete men's singles rankings are here. The ITA's release, including the upsets of the week and the top freshmen in the rankings, is here. My recap of the ITF Grade B1 Easter Bowl is available today at the Tennis Recruiting Network. If you weren't able to follow my daily coverage, this article should provide a review of the highlights of the week. The 14s and 16s recap will be available on Friday, and I hope to have the videos and slideshow for all the age divisions ready by then too. 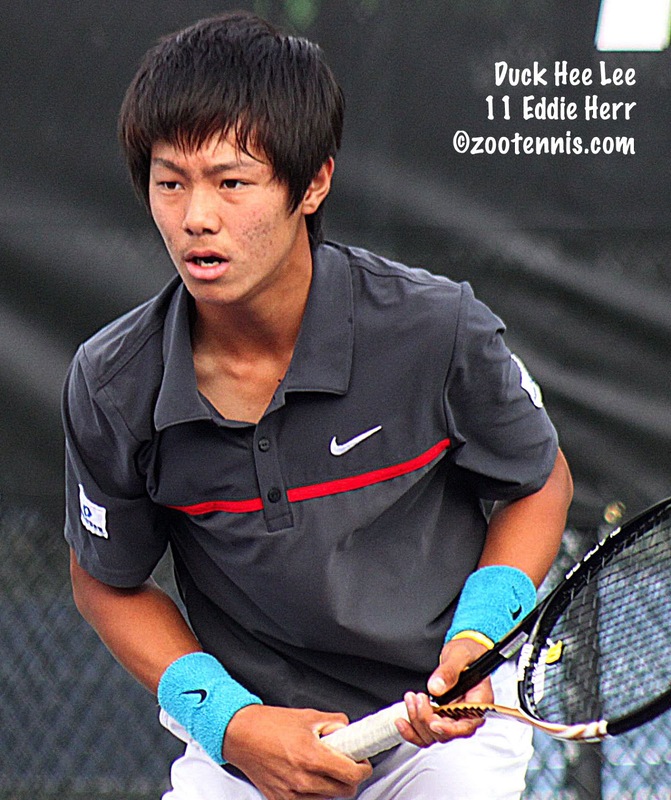 The Asian B1 Closed was held last week in India, and 14-year-old Korean Duck Hee Lee took the title, beating unseeded Ken Onishi of Japan 7-6(3), 7-6(4). Lee, who is deaf, was the No. 8 seed in the 32-draw tournament, and by winning it, he has assured himself a place in the French Open junior championships. His ITF junior ranking jumped 45 spots to No. 38, but he has already played in the main draw of a junior slam after qualifying and winning a round at the Australian Open juniors this year. Unseeded Snehadevi Reddy of India, 16, won the girls title and lifted her ITF ranking to 76. It's almost and off-week in junior tennis, with only three tournaments on the global schedule, but one of them is a Grade 1 in France, on outdoor clay. Dennis Uspensky is the only US player in either draw and he won his first round match. Orange Bowl champion Laslo Djere of Serbia is the top boys seed, with Jelena Ostapenko of Latvia the top girls seed. Ostapenko had a memorable weekend, with the 15-year-old going 4-0 in Fed Cup singles in the Europe/Africa Group II playoffs, helping Latvia get promoted to Group I. In the World Group Playoffs, which the decides who will be among the top 8 in 2014, the United States beat Sweden 3-2, with Serena Williams winning both her singles matches and Venus Williams, subbed in for Sloane Stephens, clinching it without doubles needing to be played. There were several rain delays in Delray Beach, Fla., but it was nothing like the tie between Switerzland and Australia, also in the World Group Playoffs, where two straight days of rain in Chiasso Switzerland pushed the competition to today. Matches were played simultaneously, with Sam Stosur winning two singles, but after Jarmila Gajdosova lost her match to Romina Oprandi, Captain Alicia Molik subbed in 16-year-old Ashleigh Barty, who clinched the tie for Australia with a 6-3, 6-4 win over WTA No. 56 Stefanie Voegele. Barty, who hasn't played a junior event in almost a year, has been playing on the US Pro Circuit clay this spring, with her best result a semifinal two weeks ago in Pelham, a $25,000 event. For more on Australia's win over Switzerland and Barty's contribution, see this article. There were two other notable junior performances last week, with 16-year-old Beatriz Haddad Maia of Brazil winning the $10,000 event in Turkey and unseeded 17-year-old Elise Mertens of Belgium picking up her first ITF Women's singles title at the $10,000 event in Egypt. The University of Georgia men barely escaped in their semifinal Saturday night against Texas A&M, with freshman Ben Wagland winning a third-set tiebreaker against Junior Ore at No. 2 singles to give the Bulldogs a 4-3 victory and a place in the final against No. 2 seed Tennessee. After such an emotional victory less than 24 hours earlier, a letdown was possible, but Georgia showed no sign of it, cruising past the Volunteers 4-0 in Sunday's final in Oxford, Miss. The doubles point was extremely close, decided by a tiebreaker on Court 2, but top seed Georgia took five of six first sets in singles and didn't give Tennessee any hope of a comeback. Nathan Pasha made it 2-0 with a win over Jaryd Chaplin at No. 3, and Garrett Brasseaux at No. 6 and Austin Smith at No. 5 quickly followed to give Georgia the conference tournament title and the automatic bid to the NCAA tournament. The Georgia women were also seeded No. 1 in the SEC conference, although they, along with Florida and Texas A&M, all had one conference loss. Georgia lost to Florida and beat Texas A&M, while Florida lost to Texas A&M. In the semifinals, Georgia beat No. 4 seed Alabama 4-2 and Florida avenged their regular season road loss to No. 3 Texas A&M 4-1, with A&M's point from doubles. In Sunday's final in Starkville, Miss., Florida took another tight doubles point, this one decided in a tiebreaker at No. 1, with the nation's top-ranked team of Silvia Garcia and Kate Fuller falling to Florida's Lauren Embree and Sofie Oyen. Although it was far from quick, taking four hours total, Florida got a shutout, with straight-set wins from Alex Cercone at No. 3 and Brianna Morgan at No. 4, before Olivia Janowicz clinched with a three-set victory over Ayaka Okuno at No. 5. There were two other major conference tournaments completed today, with the Big East and Conference-USA determining their NCAA representatives. Notre Dame swept the Big East, with the men defeating Louisville 4-0 and the women beating South Florida 4-1. The Memphis men won the C-USA title, its first, beating top seed Tulsa 4-2. It was their first won over Tulsa in 12 attempts. The Rice women ended Tulsa's recent dominance in the conference, posting a 4-1 victory in Sunday's final. Next weekend's conference championships include the Big Ten, ACC, Big 12 and the Pac-12 (men only). The ITA has a new website page called MatchDay central, with links to the tournament pages or live scoring for individual matches. The NCAA men's selection show is scheduled for 5 p.m. on Tuesday, April 30 at ncaa.com, with the women's selection show following at 5:30 p.m. This week's three Pro Circuit events finished today, with qualifier Alex Kuznetsov getting a huge boost in his quest for the USTA's French Open wild card by winning the $100,000 Sarasota Challenger over No. 8 seed Wayne Odesnik 6-0, 6-2. The doubles winners were also qualifiers, with Somdev Devvarman and Ilija Bozoljac beating Steve Johnson and Bradley Klahn 6-7(5), 7-6(3), 11-9, saving a match point at 8-9 in the final tiebreaker. Unseeded Ajla Tomljanovic of Croatia won the $50,000 Dothan tournament, beating No. 8 seed Shuai Zhang of China 2-6, 6-4, 6-3. Alison Riske and Irina Falconi reached the semifinals, so with two more $50,000 tournaments, they have the lead for the women's USTA French wild card. Julia Cohen and Tatjana Malek Maria of Germany, the No. 2 seeds, won the doubles title, defeating top seeds Maria Sanchez and Falconi 6-4, 4-6, 11-9. Austin Krajicek, the 2011 NCAA doubles champion as a Texas A&M senior, won both the singles and doubles at the $15,000 Futures in Little Rock. Krajicek, the No. 4 seed, beat No. 2 seed Luke Saville of Australia 6-4, 6-2 to win his second Futures title of the year. Krajicek teamed with Chase Buchanan, the 2012 NCAA doubles champion as a senior at Ohio State, to win the doubles title, with the No. 2 seeds defeating top seeds David Rice and Sean Thornley of Great Britain 6-2, 6-3. All four of their victories were in straight sets. It is the second Futures title of the year for Buchanan and Krajicek, who also won in Canada last month. They are also both former Kalamazoo champions, with Krajicek winning in 2008 and Buchanan in 2009. The women are in Charlottesville, Va. this week and the men are in Savannah, Ga., both at $50,000 events. Today I'm wrapping up my coverage of the 2013 International Spring Championships in Carson, California. My written recap appeared last week at the Tennis Recruiting Network. Expectations for a close match were understandable when the UCLA men hosted USC this afternoon in Los Angeles. After all, in the previous two meetings this dual match season, they had split 4-3 decisions decided in third-set tiebreakers. Although the score today again ended 4-3, the final two matches were decided in USC's favor in match tiebreakers, well after UCLA's Dennis Novikov clinched for the Bruins. The possibility for another tight one loomed when USC took number 3 doubles, with Eric Johnson and Max de Vroome beating Alex Brigham and Dennis Mkrtchian 8-3, while UCLA took No. 1 doubles, with Dennis Novikov and Marcos Giron beating Yannick Hanfmann and Raymond Sarmiento 8-6. The point went to the Trojans when Emilio Gomez and Roberto Quiroz defeated Adrien Puget and Karue Sell at No. 2 doubles 8-6. Once singles started however, it was all UCLA. The Bruins had big leads on almost all courts and when Gomez retired to Giron trailing 6-0, 2-0 at No. 2 singles, the score was quickly 1-1. 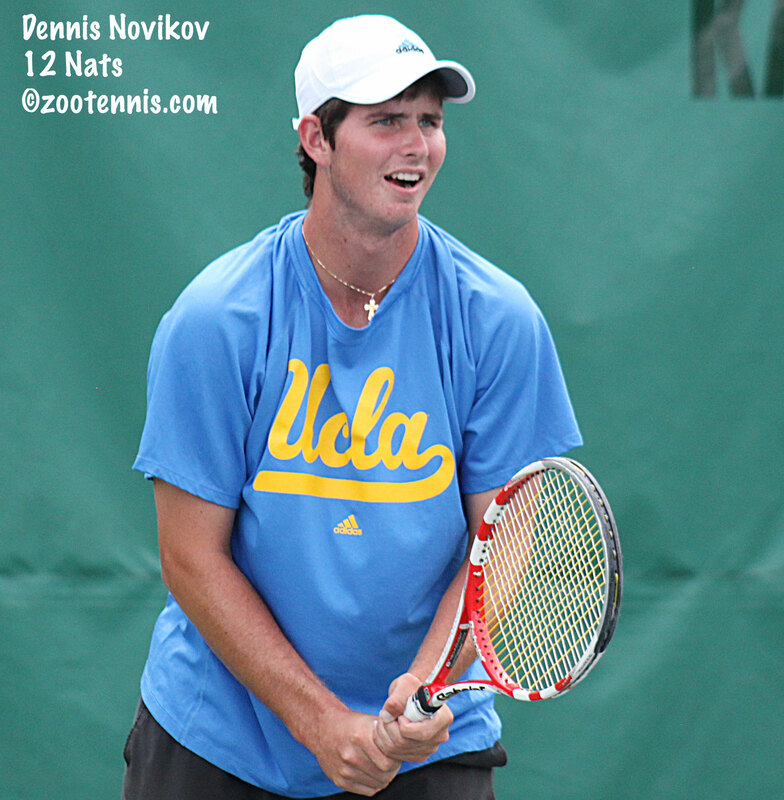 Twenty minutes later UCLA's Clay Thompson defeated Johnson 6-2, 6-3 at No. 5, and less than five minutes after that Puget downed Hanfmann 6-1, 6-4 at line 3. By then, Novikov was serving for his match with Sarmiento at No. 1, and he took it 6-4, 6-2, giving UCLA an insurmountable 4-1 lead and the regular season Pac-12 title. It's true that USC was not completely healthy. Gomez was obviously injured, with the UCLA twitter account speculating it might have been his shoulder, and de Vroome is still recovering from a broken wrist on his non-racquet hand sustained during practice a few weeks ago. If the injuries are not severe, both could be ready for yet another meeting between the two teams next week in the final of the Pac-12 conference tournament at Ojai. And then there's the NCAAs next month, of course. The USC women defeated UCLA 6-1 last night to finish an undefeated Pac-12 season and claim the conference title and the NCAA berth that goes with it, as the women do not have a team tournament at Ojai, just the individual one. Today in Berkeley, the Cal women defeated Stanford 4-3, avenging a 6-1 loss to the Cardinal last month in Palo Alto. Zsofi Susanyi, who has been out with an injury since the Team Indoor and returned only a week or so ago, is returning at the No. 3 position, rather than her customary place at the top of the lineup. Stanford won the doubles point but the Bears got wins from Lynn Chi at line 4, Susanyi at 3 and Tayler Davis at 5, and Annie Gorransson at 6, after Nicole Gibbs of Stanford had beaten Anett Schutting at No. 1, for a 4-2 lead. Stanford's Kristie Ahn defeated Klara Fabikova at No. 2 after the match was decided. The SEC men's and women's tournaments have been off to grueling starts, with the weather making for a very late night/early morning finish in Oxford, where the Kentucky men beat Mississippi State in a match that finished after 2 a.m. CDT. There are only three indoor courts at Mississippi. In Starkville, where Mississippi State is hosting and the women are playing, heavy rain caused damage to a court that was eventually repaired but that and lengthy matches have pushed the scheduled quarterfinal between Vanderbilt and Florida back several hours. That winner will play Texas A&M, while Georgia and Alabama will meet in the other women's semifinal. One of Saturday's men's semifinals will feature Tennessee against Florida. Alabama pulled off a big upset Thursday night, defeating host Mississippi 4-3, but were beaten by Texas A&M today. The Aggies await the winner of the Georgia - Kentucky match, still going as of 9 p.m.
More rain disrupted the Dothan Pro Circuit event, with only Irina Falconi, with a surprising 6-0, 6-0 win over Jessica Pegula, secure in the semifinals when play was called for the day. In the $15,000 Futures in Little Rock, rain washed out play on Thursday, so two rounds were played today. Austin Krajicek(4) will play Darien King(8) of Barbados in one semifinal, while two young Australians, Ben Mitchell(5) and Luke Saville(2) will play for a place in the final. At the $100,000 Sarasota Open, Wayne Odesnik and Alex Kuznetsov are the Americans reaching the semifinals, giving them a boost in the French Open wild card race. Kuznetsov, a qualifier, beat Steve Johnson 6-2, 3-6, 6-1 and will play former NCAA champion Somdev Devvarman in the semifinals. Devvarman and partner Ilija Bozoljac of Serbia, who were qualifiers, will play the unseeded team of Johnson and Bradley Klahn in the doubles final. Odesnik, the No. 8 seed and the only seed remaining, will play Denys Molchanov of Ukraine in the other singles semifinal. This week marked the start of the Har-Tru USTA Pro Circuit Wild Card Challenge, which will decide the recipients of the USTA's main draw French Open reciprocal wild cards. The American player who gains the most ATP/WTA points in the three events that are part of the Challenge (only the best two results count) will receive the wild card, one for men and one for women. Last year, the first year the French wild cards were determined this way, saw Brian Baker and Melanie Oudin earn their way into the main draw. This year, the men's events are this week's $100,000 Sarasota Challenger, next week's $50,000 challenger in Savannah and the following week's $50,000 challenger in Tallahassee. Obviously this week's points are the biggest and only three Americans are left in Friday's quarterfinals: qualifier Alex Kuznetsov, Steve Johnson and No. 8 seed Wayne Odesnik. Johnson defeated Rhyne Williams, the semifinalist last week at the ATP event in Houston, 6-1, 6-3 this evening, in one of the more lopsided scores in their rivalry, and will play Kuznetsov in the quarterfinals. 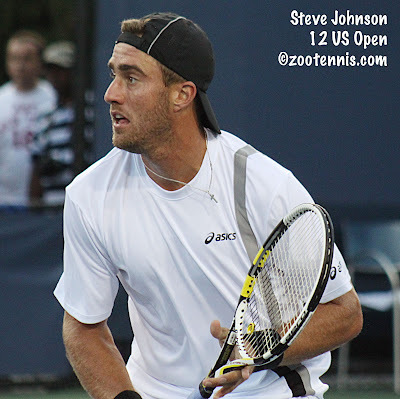 Johnson won a US Open main draw wild card by virtue of his performance in a similar series of events last summer, primarily by winning the $100,00 Aptos Challenger, although he had the security blanket of the traditional wild card extended to an American NCAA champion had he needed it. Live streaming of the men's challenger matches is available at usta.com, with Johnson and Kuznetsov second on after 11 a.m Friday. All three of the women's events have $50,000 purses, so other than a good start and confidence, there is no particular advantage to doing well this week. This week the women are in Dothan, Ala., then move on to Charlottesville, Va. and Indian Harbour Beach, Fla.
Five US women have reached the quarterfinals in Dothan: Shelby Rogers, Alexa Glatch(4), Alison Riske, Jessica Pegula(7) and Irina Falconi. The latter four play each other Friday. The direct acceptances for Roland Garros were published earlier this week. There are 12 US women already in the main draw, and seven US men. The men's list is here and the women's list is here. Amanda Pruitt of the University of Tennessee Sports Information Department provided this link to a local article on Volunteer recruit Sean Karl, who was diagnosed last fall with Ewing's Sarcoma, a rare bone cancer. Karl, who is still undergoing treatment, has even gotten back out on the tennis court to hit for brief periods lately. Socks, towels and t-shirts supporting Sean are available for purchase, with a portion of the proceeds going to the Karl family for help with expenses. You can find out more about these endeavors at the Pray for Sean Facebook page. Sean also has been updating his Caring Bridge page regularly too. The Tennis Recruiting Network is in the midst of its Spring Signing Week, with commitment announcements, comments and advice. Please check out Marcia Frost's article about staying on track academically, and Donovan Tennis Strategies' article on the loosening of the recruiting restrictions by the NCAA. I was invited to speak with Scott Schultz, the USTA's Managing Director of Youth and Collegiate Tennis, and Lew Brewer, the USTA's Director of National Junior Competition, via conference call today about the final decision on the National Junior Competition Structure made last Thursday by the USTA Board of Directors. The Board approved the latest changes (the full document is available here, and for those of us who are having a hard time keeping up with what's changed, there are helpful strike-throughs to highlight the differences), so the hope that there would be a permanent pause or a complete rebuild is gone and unlikely to be addressed again. So with that in mind, my questions centered on what I thought was most important now, which is the dates when all these changes will be carved in stone, so that families and coaches can begin to make plans and schedules. Please note these are dates for the NATIONAL portion of the new junior competition schedule, not SECTIONAL qualifiers, which obviously now need closer coordination since there is no other way to enter the Nationals. On or about June 24, 2013: Announcement of awarded bids, complete with TennisLink tournament ID, site, director, etc. There are two new events--the National Doubles Championships, which is now a gold ball event, and the 2013 Masters--that were part of the original plan and were not paused, and those events are close to being finalized. 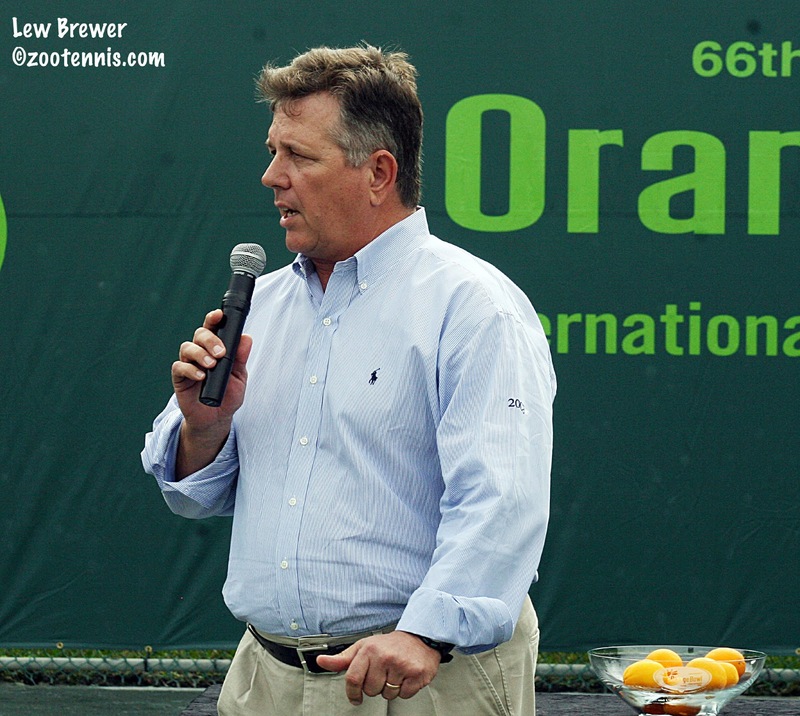 Brewer assured me the Masters will be in Boca Raton in October, and the doubles event in August of 2013, and that final information on those two tournaments should be available by the beginning of June. With the sections holding so much power in national entries now, I asked Schultz and Brewer if they would support more uniformity in endorsing players, as there are currently major differences in endorsement requirements from section to section. "I think sections that have what we call onerous endorsement requirements will pretty much go out the window," said Brewer. "They don't need to be onerous anymore, because the only way to get in (except for wild cards) is through the section." Brewer said he has be advocating for better alignment of sectional endorsement critera for years. "We're going to talk with the sections on the 8th of May, getting down into the weeds of these endorsement policies, and if it's possible to have a pretty uniform policy, then that's what we would like to see happen," Brewer said. Schultz, who has experience as an endorser when he worked in the Midwest section, agrees there is a need for more consistency now. "I know sections have different thoughts on this, but what I think we should do is try to lead them down a path that makes the most sense. So for instance, when Tracy Austin was playing and she was invited to Wimbledon, let's hope her section didn't make her play the section's qualifier to play the Nationals. There are reasons that kids ought to be excluded from their section qualifier and still get automatic bids into the Nationals, and not have to rely on a wild card. There are also players who get up to the top part of their section and suddenly have all these injuries, and you've got to try to avoid that as well. But I do think with the help of Lew and our staff and other section folks, we should be able to come up with something more uniform, and in general do that across the board. "But as Lew said, at the end of day, the sections do have some autonomy. We would like to be as consistent as possible." In addition to the actual 29-page document I linked to above, the USTA has also recently released several less detailed announcements on the changes in the past two months, including the proposed 2014 calendar, which does not include sites for any tournaments and may not be completely accurate as to dates and this five-page summary in pdf form of the National Junior Competitive Structure. The usta.com page for Junior Competition has been providing updates, and I will post or link to any other releases I receive regarding the calendar for 2013 and 2014. Although I've been away from college tennis the past two weeks, concentrating on the juniors, the rankings, at least at the top, didn't show much movement. Today's release again has the Virginia men and the North Carolina women at No. 1, but the men's second-ranked team is now the University of Georgia, which has bumped UCLA into third. Today's rankings also brought changes to the top of the individual rankings, with Virginia's Jarmere Jenkins now No. 1 in both singles and doubles. Jenkins has inched past teammate Alex Domijan, who had been No. 1 since mid-February, for the top spot in singles, while he and Mac Styslinger also overtook Duke's Henrique Cunha and Raphael Hemmeler for No. 1 in the men's doubles. The limitations of the rankings are spotlighted in the women's doubles this week. Kaitlyn Christian and Sabrina Santamaria of USC, who have won the two collegiate majors in the fall and are 25-0 overall, are no longer No. 1. They have been passed by Georgia's Silvia Garcia and Kate Fuller, who are 20-1, but do not have the fall tournament results to bolster their case, with Garcia a January freshman. Coming up this week in college tennis are the men's and women's SEC tournaments, in Oxford and Starkville Miss., respectively, and USC vs. UCLA, both men and women. The USC women host UCLA on Thursday, with coverage available on the Pac12 Network. The UCLA men host USC on Friday at 3 pm PDT, which is a College Matchday and will be broadcast on radiotennis.com. In their last two meetings, the USC and UCLA men have split, with both matches ending in third-set tiebreakers. Speaking of third-set tiebreakers, UCLA beat Pepperdine last night 4-3, with the last two matches on the court, at No. 1 and No. 5, both in third-set tiebreakers with UCLA leading 3-2. Pepperdine's No. 1 Fanselow beat Dennis Novikov 4-6, 6-3, 7-6(3) to make it 3-3, and UCLA's Clay Thompson and David Sofaer were well into their tiebreaker, with Thompson leading 5-2, before Sofaer tied it at 6. Sofaer had a match point leading 7-6, but Thompson took the last three points to give UCLA the win. The ITF junior rankings that will count for the French Open will not be out for another three weeks, but for most US players, their performance at the International Spring Championships in Carson and the Easter Bowl determine whether they are likely to receive direct entry. Last year's acceptance ITF junior ranking cutoff for the French Juniors was 76 for the boys and an extremely weird 827 for the girls. The 2011 was more indicative of what can be expected this year, with 63 for boys and 55 for girls. Others in the Top 100 who may get in: Allie Kiick(69), Johnnise Renaud(82, who just won singles and doubles at the Grade 3 last week in Costa Rica), Katrine Steffensen(86), Rianna Valdes(87), Madison Bourguignon(89), Dasha Ivanova(90), Tornado Black(95) and Usue Arconada(99). Mayo Hibi, who is a Japanese citizen but eligible to play in USTA events, is up to 62 with her California sweep. Crawford, Kiick, Vickery, Townsend and Vicky Duval would all be eligible for main draw entry into the French juniors because their WTA ranking is inside 350 (it needs to remain there on the acceptance cutoff date). Hibi would just need a few wins at the upcoming Pro Circuit events, as she is now ranked 364, to be certain of main draw acceptance. Donna Vekic, Madison Keys and Yulia Putintseva are still age-eligible for the French juniors, but are unlikely to play since they've received main draw entry and only Vekic is still subject to the WTA's age restrictions regarding number of tournaments allowed. Other international players who are currently inside that 350 cutoff are Australia's Ashleigh Barty, Germany's Carina Witthoeft and Russia's Irina Khromacheva, with several others very close to it. It's unusual for a boy to be able to use an ATP ranking to receive direct entry into the main draw, with the cutoff at 550, but this year Kyle Edmund of Great Britain could need it, with his ITF junior ranking at 66, but his ATP ranking at 515. Gianluigi Quinzi of Italy, Nick Kyrgios of Australia and Yoshihito Nishioka of Japan are also inside that cutoff, but are assured entry with their current ITF junior rankings. I'm returning home to Kalamazoo and will be arriving late, so catching up on all the other college and junior tennis news will have to wait until Tuesday. But I did want to congratulate Adam Neff and Amanda Anisimova for winning the USTA Spring Nationals in the 12s division at Delray Beach. Neff, seeded ninth, beat top seed Brandon Nakashima 6-1, 6-4 to take the boys singles gold ball, and he will also be going to Paris during the French Open to play in the international Longines Future Tennis Aces competition for 12-and-under boys thanks to his title in Delray Beach. No. 3 seed Anisimova captured the girls 12s gold ball with a 6-3, 6-1 win over top seed Sophie Edwards in the final. It's not a narrative he can explain, nor does he have a history of comebacks, but Gage Brymer won the Asics Easter Bowl ITF Grade B1 title in what is now predictable fashion Sunday afternoon at the Sunrise Country Club. Down a set and a break, the unseeded 18-year-old roared back to defeat No. 3 seed Luca Corinteli 3-6, 6-4, 6-1, his fifth three-set win of his six victories this week, and the fourth from a set down. "What's funny is that this is the first tournament where that's really been the case," said Brymer, an 18-year-old from Irvine, Calif. "It's not like I'm known for losing the first set. That's just been this week, but it's not too disheartening when I lose the first set now. I don't know if it's a good thing or a bad thing. I'll never count myself out in that second now, but it might be a bad thing because I'm having so many long matches." Corinteli began the match determined not to engage Brymer in a baseline slug fest. He served and volleyed, hit drop shots and angles and played defense, never allowing Brymer to find a rhythm. Although Corinteli is built like a linebacker and does have the requisite serve of someone his size, the 17-year-old from Alexandria, Va. believed he needed to take advantage of his other skills. "He stands really far back behind the baseline," said Corinteli, who will be joining the Virginia Cavaliers this fall. "I don't know if it's a tactic because I'm serving pretty big and the balls are kind of flying off these courts. I thought it would be a good idea to serve slice wide, kick wide and come in, use the angles of the court. If someone's standing really far back, you don't want to bang with him, because I don't think he'll miss a ball. I thought it would be a good idea, it's something I'm comfortable with and I do it a lot and it was definitely a part of my game plan the whole week. I'm not completely a serve and volley type of player, but it's something that's in my toolbox and something I can use in the future for sure." Corinteli saw three set points come and go in the opening set, with a perfect backhand volley finally securing it. In the second set, Brymer needed seven deuces before he held in the first game, but he was broken for 2-1 in the second and went down 3-1 when Corinteli held. Brymer took the next two games, and then demonstrated his tenacity serving at 3-3, winning another seven-deuce game to go up 4-3. After two more holds, Corinteli played his worst game of the match serving at 4-5, double faulting twice, including on game point, and missing a volley and netting a backhand to get broken at love. The start of the third set went no better for Corinteli. He double faulted on game point again to go down 2-0, and it was 5-0 before he finally held, ending a seven-game losing streak. Brymer said that seeing the finish line and yet maintaining his focus was difficult at that stage. "I think it's an incredibly tough place to be, 5-0, 5-1, 5-2," said Brymer, who will be joining the UCLA Bruins this fall. "It's much harder to close it out than it is to get up 5-0. Those last couple of games are very tough, and to be honest, I got nervous at 5-0 and 5-1. But I did the best I could to shake off the nerves and pull out that last game at 5-1." 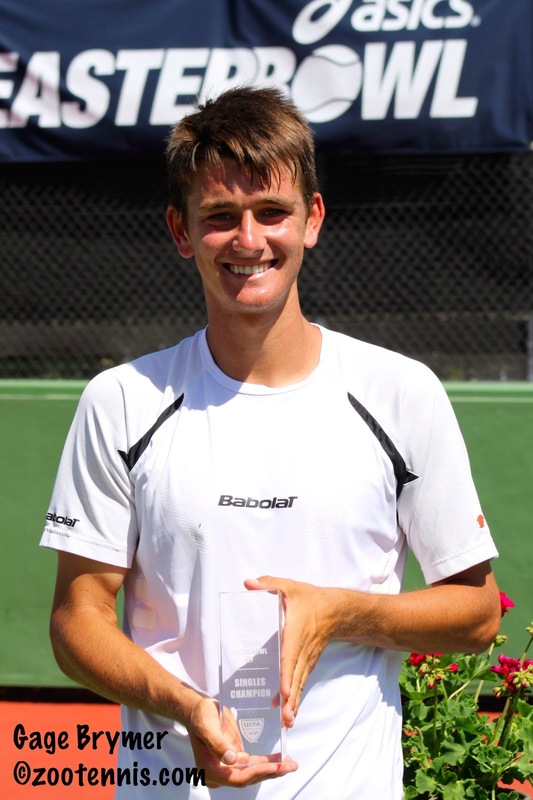 Corinteli saved two match points and had a break point in the final game, but Brymer held on for the victory, adding an Easter Bowl ITF title to the 16s championship he won in 2011. Brymer is not planning a lengthy celebration, however, as he returns to school at University High in Irvine on Monday and will play a match with his team there on Tuesday. "I have a little bit of a break tomorrow, but then I've got to get right back on the horse," said Brymer, who is the third consecutive UCLA recruit to win the Easter Bowl ITF, joining Marcos Giron and Mackenzie McDonald. "I'm looking to close out my senior year with a really good high school season as well. It means a lot." The tournament's last day provided ideal conditions for excellent tennis, with temperatures in the upper 70s and no wind, with 14-year-old CiCi Bellis making the most of her second straight trip to an Easter Bowl final, this time in the 16s division. Bellis, the No. 8 seed, who had lost in the 14s championship match in 2012, put that disappointment out of her mind with a 6-4, 6-1 win over No. 7 seed Caroline Dolehide. "I thought about it a little bit before the match," said Bellis, from Atherton, Calif. "I obviously wanted to win today, but I really didn't want to think about that. I tried my hardest and it just didn't happen." Bellis had several better memories to draw on, as she had swept the European 14-and-under majors at Teen Tennis in England and Les Petits As in France this year, taking all four titles in singles and doubles. Bellis believed that her experience in Tarbes helped her on the Sunrise Country Club stadium court Sunday. "There they had umpires to call the lines and ball kids and everything too," said Bellis. "I feel that gave me a lot more experience for this. I really love that--playing in front of people, playing on center court, everything." Bellis started the match with all the poise of a longtime veteran, but Dolehide came back from two breaks down to even the first set at 4-4. Serving at 4-all, Dolehide, a 14-year-old from Hinsdale, Ill., had a game point for a 5-4 lead, but Bellis came up with the shots she needed to break, then held for the first set. "I had a game point and she just hit a winner on that," said Dolehide. "I didn't feel tired, but I felt I needed to pick it up to stay with her. She's pretty consistent and all her balls are pretty deep. I missed a little bit too much to stay in the match." Although Dolehide was down early in the second set, falling behind 3-0, the games were long and the points entertaining. The 5-foot-8-1/2-inch Dolehide used her serve and her power to keep Bellis from dictating the points, but it was Bellis who managed to find ways to win those close games. "She was actually the one being aggressive there," Bellis said of the first few games of the second set. "Her serve is really good so I just had to try to get that back, and if there was a second serve, I had to attack it." Bellis came close to seeing another 4-1 lead erode, but after saving a break point and surviving a couple of deuces, she held for 5-1, and broke Dolehide for the win. After a family dinner to celebrate, Bellis will return to competition, concentrating on ITFs and the 18s division in USTA events. 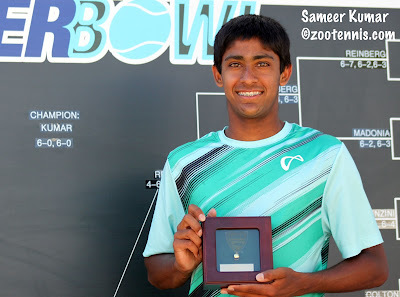 The boys 16s singles final, which closed the tournament Sunday afternoon, was not a competitive match, with 16s Winter National champion and top seed Sameer Kumar adding an Easter Bowl title to his resume with a 6-0, 6-0 rout of No. 17 seed Kalman Boyd. Kumar, a 15-year-old from Carmel, Ind., hadn't played on stadium court throughout the week, so he and his coach Bryan Smith came out to practice on it after Saturday's matches in preparation for the final. "We hit here to kind of get a feel for the court, get used to it, see the conditions, see how the wind was," said Kumar. "I think that helped quite a bit today." Kumar dominated Boyd, who was playing in his first USTA Level 1 final, allowing him only 19 points total and finishing the match in 45 minutes. "After a tough match yesterday (winning 7-5 in the third over No. 3 seed Taylor Fritz) I thought I recovered very well," said Kumar. "I felt physically perfect. I felt I could go for hours." Boyd, who had reached the semifinals in the 16s division at the International Spring Championships in Carson, couldn't match Kumar's energy and resilience. "I just couldn't hang with him," said Boyd, of Rancho Sante Fe, Calif. "I just got way too tired after each point and he was fresh. I guess he was more mentally tough or something, because after each point I was dead, just trying to recover. He played better today." Kumar is undecided about which age division he'll play at this summer's USTA Clay Courts, but he is definitely going for the 16s title in Kalamazoo this summer. "That's the goal for the year," said Kumar. "That's been the goal since the beginning of the year, to win Kalamazoo. I think I'm well on my way to that." The boys 18s doubles title went to No. 2 seeds Spencer Papa and Jordi Arconada of Argentina, who defeated No. 4 seeds Mackenzie McDonald and JC Aragone 6-1, 7-5. Papa had originally planned to play with Stefan Kozlov, with the pair already two-time doubles champions during the South American swing, but when Kozlov withdrew after winning the International Spring Championships in Carson, Papa had little time to find a replacement. Arconada, who trains at the Junior Tennis Champions Center in College Park, Md., didn't have a partner, so they agreed to join forces for the first time. They went to a match tiebreaker in their opening match, but that was all the time they needed to feel comfortable. "The first match we kind of struggled a little," said Arconada. "But we pulled through, 10-7 in the breaker. The guy's a beast." "By the second match we were playing pretty well," said Papa, who trains with the USTA in Boca Raton. Against McDonald and Aragone, Papa and Arconada were forced to find way over and around their opponents. "They were both coming to the net pretty well and volleying pretty well, so we had to find little holes to pass them," said Papa. "Jordi did a good job with that, finding the down the line. We were being really aggressive with a lot of energy." "In the second set, we had a lot of chances, deuce points, but they definitely stepped it up," said Arconada. "They played much better in the second set." After her loss in singles Sunday morning, Dolehide had a second chance at a gold ball in the afternoon and she grabbed it, winning the 16s doubles with Brienne Minor. Dolehide and Minor, the No. 1 seeds, beat No. 3 seeds Emma Higuchi and Rebecca Weissman 1-6, 6-4, 6-2. For complete 16s results, see the TennisLink site. 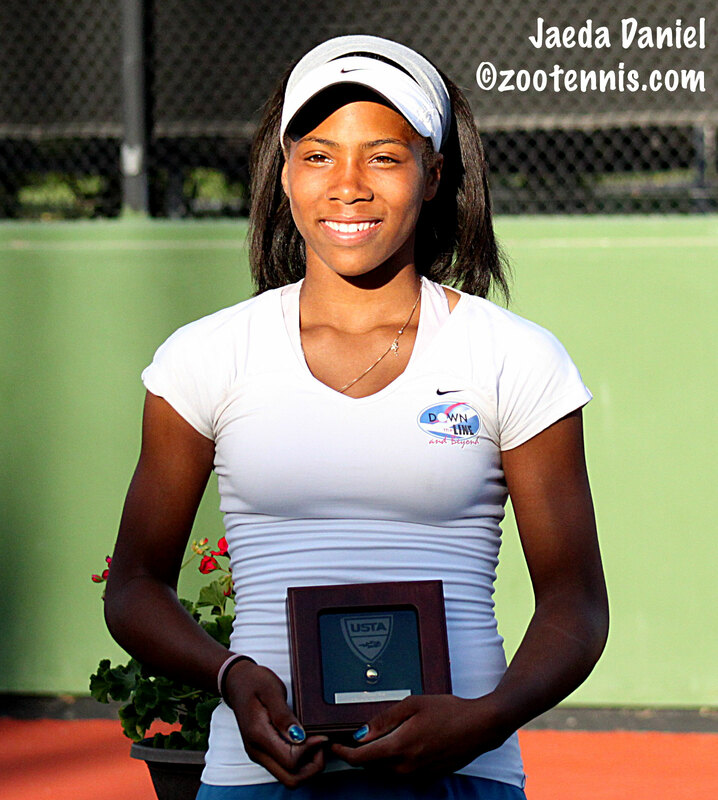 The 18s ITF results are here. Mayo Hibi has played an ITF Grade 1 singles match 12 of the past 13 days, but she made it as easy as she possibly could on herself by winning them all in straight sets. On a hot and sunny afternoon in the Coachella Valley, the 13th-seeded Hibi showed no sign of mental or physical fatigue, taking a 6-3, 6-2 decision from No. 6 seed Tornado Alicia Black in the ITF Grade B1 girls final. Black, who will be 15 next month, had survived two matches of nearly three hours in length in the quarterfinals and semifinals, and she admitted those wins took their toll. "I was really exhausted from yesterday and the day before," said Black, who is now training at L'Academie de Tennis in Boynton Beach, Florida after over a year at the USTA National Center in Boca Raton. "I thought I could have done a lot better today, come out to the match more prepared." Hibi said she was a bit taken aback by the atmosphere for the final, which included ballrunners carrying the players' bags to the court for them. "I was really, really nervous in the beginning," said Hibi, who turned 17 last week. "In the beginning you walk out and you don't have your bag, they're taking pictures, you have ball kids, everything was so different. There was a huge crowd out there, it was also really hot and we had to wait a while because of the 14s final and at first I didn't feel like it was really in the match." The first four games were all breaks of serve, with Black failing to win a point in her first two service games. After three holds, Hibi got another break and held to take the first set. Black makes very few errors regardless of her opponent's pace or placement, and she handled Hibi's slice and changes of spin and pace with little trouble. But Black's serve was a definite liability, and Hibi stepped in and took control when she was presented with an especially soft offering. Hibi took an early 3-0 lead in the second set, with two breaks, but Black got one of them back, only to lose her serve yet again. Again Hibi couldn't quite close the door, losing her serve on a double fault on game point, but Black again lost her serve and Hibi held in the next game for the win. "I was getting pretty tired in the first and second round of the Easter Bowl, and I wasn't sure if my body was going to hold up," said Hibi, a Japanese citizen who has lived in Irvine, Calif. since before she began playing tennis. "I'm happy it did, and now I can finally rest." Hibi is waiting to see where her ITF ranking lands on Monday before deciding on playing the junior slams, but she is planning to play Pro Circuit events on clay in Florida and North Carolina. With a couple of days off before she begins training on clay, Hibi will finally have time for a delayed birthday celebration. "I actually haven't celebrated my birthday yet, because I had Carson," said Hibi. "My mom will bake my cake--she's a good cook and baker. And we always have this deal that when you win a tournament you get ice cream." Gage Brymer may also be from Irvine, California, but he has taken a contrasting path to the boys 18s final. While Hibi did not lose a set this week, Brymer has won four matches in three sets, coming from a set down in three of them. "It's not intentional, I promise," said Brymer, who defeated No. 5 seed Martin Redlicki 3-6, 6-2, 6-3 in Saturday's semifinal. "I just start off a little shaky and the other guy starts off playing his game, and I'm missing too much in that first set. I don't know if it's because of nerves--I feel tight here and there, but it's not all the way through the set. But once I find my groove in the second set, I find my game and once I start rolling and get into a third, I play the same way." 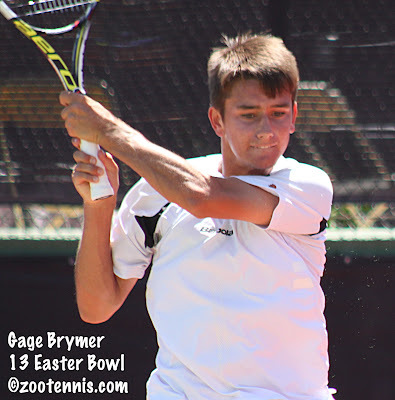 Brymer, the 2011 Easter Bowl 16s champion, will play No. 3 seed Luca Corinteli in the final, after Corinteli took out top seed Noah Rubin 7-6(6), 6-1 in the semifinals Saturday. The last time the two played was in that 2011 Easter Bowl, with Brymer beating Cortineli 6-4, 6-0 in the quarterfinals. "He beat me up pretty good," said Corinteli. "I was trying to play a big man's game. I was still big, but I was very immature at the time, so he kind of dissected me and broke me down. I think I've matured a lot in the last two years and I'm sure he has as well. He's fighting really hard and I think we're both competing really well this week." Corinteli came into the Easter Bowl knowing he would have to perform well to make the field at the junior slams this summer, since he failed to defend his semifinal points at Carson last week. "It could have been a negative," Corinteli said of the pressure that scenario created. "If I would have looked at like oh, if I play tight, if I lose, I'm not going to make the slams in my last year of juniors. But my dad kind of helped me prepare for this, waking up early, getting in a routine, getting up at the same time, hitting with the same kids, and I think I prepared really well for this week." The girls 18s doubles title went to unseeded Spencer Liang and Peggy Porter, who defeated Josie Kuhlman and Katerina Stewart, also unseeded, 6-4, 6-4. Liang and Porter were playing together for the first time, but they were not surprised at their success. "We meshed really well from the first match," said Porter. "We just read each other really well and we have similar games, so I think we can predict what the other is going to do." "We just have great chemistry," said Liang. "It worked out really well from the first point." In Friday's semifinals, Liang and Porter trailed ISC champions Jamie Loeb and Maegan Manasse 6-2 in the match tiebreaker, but went on to win the last eight points of the match. There was nothing quite as dramatic as that in Saturday's final against the Florida pair, but Liang and Porter did need to win a deciding point at 5-4 in the first set to keep from losing a 5-0 lead. Now that they've collected their first ITF Grade 1 titles, Liang and Porter are planning to stay together for the major USTA events this summer at the Clay Courts in Memphis and the Hard Courts in San Diego. For complete ITF results, see the TennisLink site. Connor Hance and Jaeda Daniel earned precious USTA gold balls Saturday, claiming the 14s titles at the Asics Easter Bowl with hard-fought three set victories on the stadium court of the Sunrise Country Club. Hance, the No. 2 seed from Torrance, Calif., beat top seed John McNally of Cincinnati 4-6, 7-6(3), 6-4, in a nearly three-hour marathon, saving a match point in the second set. McNally was serving for the match at 5-4 in the second set, and at 30-all had hit one of his big forehands to force an error from Hance and set up a match point. He missed his first serve, then his second, and two forehand errors later, the score was 5-5. "You really can't live life like that," McNally said, when asked if he had regrets about the match point. "Crap happens. I would say another word, but....that's what my papa tells me. It's part of tennis. You're going to have matches where you come back from match points and you're going to have matches where you blow match points. It's just a part of tennis, a learning process. I did get tight, I'm not going to lie. It's match point and I got tight on that second serve." Hance, who had never played McNally before, said it wasn't until 5-3 in the second set that he felt he had a handle on the match and a workable strategy. "He was dictating points, running me left and right and left and right," said Hance, 14. "At 5-3, I sort of realized he went inside in a lot on his forehands, so I just started guessing inside in every time. I got a lot more balls back then, but he was still dictating the points. I was just running for my life, pretty much, on his serve. Coming back from 5-3 gave me a lot of confidence, even though I still went down another break." McNally served for the match a second time after breaking Hance for a 6-5 lead, but he got no closer than deuce in that game. The tiebreaker was 3-3 at the change of ends, but Hance played flawlessly in the next four points, with a big first serve and a gorgeous backhand drop volley winner to earn three set points. He converted the first with a big overhead, and approached the third set with confidence. "I do a lot of fitness in my practices, so I'm in pretty good shape. I never cramp or anything," said Hance, who trains with his father Ken at the South Bay Tennis Center in Torrance. "In the third set, I kept doing what I was doing and I think he was a little more tired than I was." Hance was down 2-0 in the third set, but won five of the next six games to go up 5-3. Down 0-40 serving at 3-5, McNally fought off four match points in an eight-deuce game, going for the sidelines and hitting them with both his forehand and his backhand. Serving for the match, Hance double faulted on the opening point, but that was the only sign of nerves, and when he earned his fifth match point at 40-15, he stayed aggressive, hitting a forceful backhand that McNally couldn't handle. "Connor's just a very good player," said McNally, who trains with Wil Lofgren at Queen City Racquet Club. "He mixes up his shots well and he played amazing at the net today. It was probably the best I've ever seen him volley. When I got my first serve in, he got it right back and neutralized the point. He made me go for a little too much, and I started missing my forehands, which probably cost me the match." Hance was equally impressed with McNally's game. "John's just a great player," said Hance, who adds his Easter Bowl gold ball to the one he captured at the 12s Clay Courts in 2011. "He's got all the shots." Thirteen-year-old Jaeda Daniel was in her first USTA level 1 final, and despite some ups and downs, the No. 3 seed emerged with a 3-6, 6-4, 6-1 victory over No. 11 seed Ashley Lahey. Broken early in the first set, Daniel was unable to recover, with too many unforced errors and too much pace from Lahey to allow her to get comfortable. "I started out pretty nervous," said the left-handed Daniel, who lives in Port Charlotte, Florida. "It slowly went away, but I still had to find my game and get back into it. I kept the same strategy, but I just had to execute." The second set started off going Daniel's way, as she took a 4-0 lead, but all the games were close, and Lahey fought back, taking the next four games. The wind, which had been absent all day, began gusting around the middle of the second set, and both girls struggled to keep the ball in the court. Serving at 4-3, Daniel double faulted three times to give Lahey her opportunity, but Lahey was broken at love and Daniel served out the second set, with the help of a couple of wind-aided errors from Lahey. "I had chances in the second set, I was came back, was playing well," said Lahey, her voice still quivering with emotion. "She was completely out of it, she double faulted three times, first ball error, completely giving me the game, she was so nervous, and I blew the next two games." The 13-year-old Lahey, who is from Colorado, but now lives in the Los Angeles area and trains at the USTA's Player Development Center in Carson, had never been past the fourth round of a USTA Level 1 event before, and she felt that cost her. "I've never really been in that situation before," said Lahey, "and it's nerve-racking, because you're so close. But they're still fighting, and just because they're nervous it doesn't mean they're not still trying. So next time, I'll be better. It's all a new experience for me." As she had done in her three-set semifinal victory over Alexa Graham on Friday, Daniel took control in the final set, winning the last five games of the match, despite the gusty winds and her still balky serve. Daniel knew she hadn't played perfectly all week, but she was happy with how the tournament turned out. "It was a great tournament overall," said the soft-spoken Daniel. "There were matches where I played really well, and matches where I didn't. All the girls were spectacular and it was tough to get out there and do what I had to do myself. So I think it was a good week overall." As for a celebration, Daniel said that was up to her mother, but it would probably include dinner and Cold Stone ice cream. While the 14s boys and girls finals and the 18s girls final were commanding all the attention on the stadium courts, the finalists in the 16s were being decided. Boys top seed Sameer Kumar was in trouble against No. 3 seed Taylor Fritz in Saturday's semifinal, with Fritz serving for the match at 5-4 in the third set. But Kumar drew hope from the fact he had broken Fritz several times in the third set, and he reeled off the final three games of a 4-6, 6-4, 7-5 victory. "It was very tough to break him the first two sets," said Kumar, the Winter National 16s champion, who had beaten Fritz in the semifinals there. "I broke him once in the second, he broke me once in the first. But in the third, we broke each other two or three times, so I knew I could break him. I still had confidence. He did make a few errors, but I think I made him play very well. He has a huge serve, so I was happy I made a lot of returns that game, and I made him play." With Fritz serving to stay in the match at 5-6, he had a game point, after saving a match point at 30-40, but a running backhand passing shot a few points later gave Kumar his second match point and he made good on that one. "I'm excited," said the 15-year-old from Indiana. "It'll be a tough one, but I'm definitely excited." Kumar will meet Kalman Boyd, a No. 17 seed, who reached the finals with a 7-6(4), 6-4 win over Emil Reinberg, also a 17 seed. "It was really tough," said Boyd, who turned 16 earlier in the week. "I had to make at least 50 balls in a row to earn a point. He was playing really well and I had to stay super mentally tough to win." Boyd credits his recent move to Advantage Tennis Academy in Irvine, California with his success this week, which comes on the heels of a semifinal showing at the International Spring Championships in Carson last week. "I never would have thought before that I would have gotten to the finals," said Boyd, who will play in his first Level 1 final Sunday in his first meeting with Kumar. "Ever since I've starting going to Advantage, I feel my game has finally gone to the next level." The girls 16s final will feature two 14-year-olds: No. 8 seed CiCi Bellis and No. 7 seed Caroline Dolehide. Bellis avenged her loss to Emma Higuchi, seeded No. 4, in last year's Easter Bowl 14s final with a 6-2, 7-5 win in Saturday's semifinal. "I remember last year she was really the aggressive player," said Bellis, the Les Petits As champion. "I was trying to be more aggressive this year, take control of more points. She's a really good player, really fast and when I get my short ball, I have charge and move forward." Dolehide reached the semifinals last week in the 16s division of the International Spring Championships in Carson and she continued her successful run in California with a 6-4, 5-7, 6-1 victory over unseeded Hanna Chang on Saturday. "Carson gave me a lot of positive energy," said Dolehide, who says she is not in the least bit tired despite her run in Carson and reaching the singles and doubles finals at the Easter Bowl. "I just feel like any other day. I just have to get back out there and play my best." Like the boys final, Sunday's girls championship will be the first meeting between Dolehide and Bellis. The boys 16s and 14s doubles champions were also decided on Saturday. No. 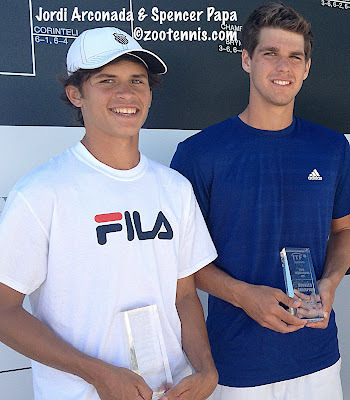 7 seeds Jake Devine and Catalin Mateas won the 16s title, defeating No. 5 seeds Grayson Broadus and Jean Thirouin 4-6, 6-0, 6-1. The boys 14s title went to No. 5 seeds Bryce Pereira and Michael Zhao, who defeated No. 6 seeds Jake Van Emburgh and JJ Wolf 4-6, 6-4, 6-0 in the final. Complete results from the 14s and 16s are at the TennisLink site.